Aishwarya’s positivity has taken her mother, Rohini, and her doctors by surprise. She’s fighting a chronic liver disease for a year now, but this hasn’t broken Aishwarya’s spirit. She has bravely endured all the tests, scans and treatment so far. Sadly, her willpower isn’t enough to see her through anymore. Aishwarya needs an immediate liver transplant to survive. 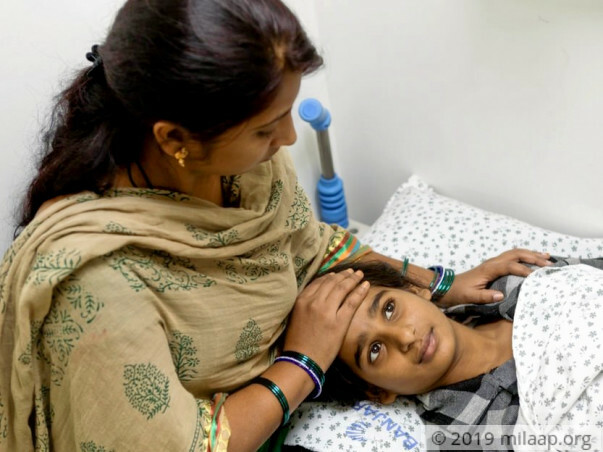 Even with Rohini’s best efforts, she’s unable to continue her daughter's treatment. 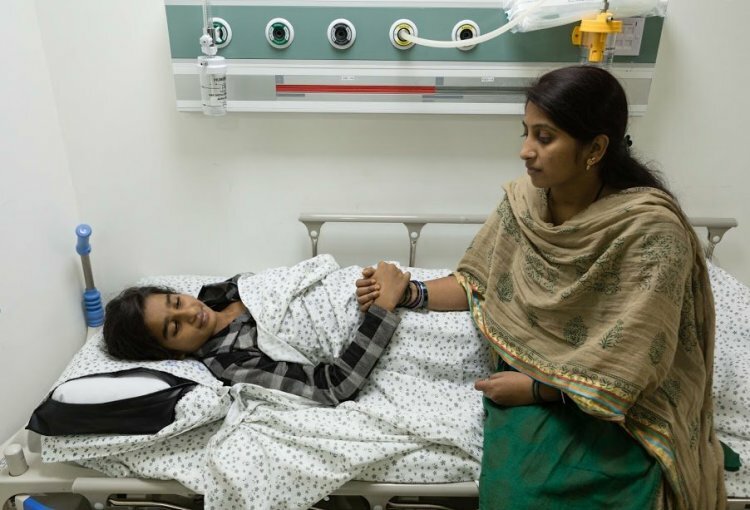 Rohini can’t believe that her 13-year-old daughter is battling a life-threatening disease. One year ago, when Aishwarya came home from school complaining of a stomach ache, she thought she would be fine in no time. However, two days later, it only got worse. Aishwarya could barely walk and had to be taken to the hospital. After blood tests and scans, she was diagnosed with liver disease. The happy, school going, first rank student risked losing her life. 8 months ago, Aishwarya’s condition began deteriorating. She started vomiting blood and was advised to have an endoscopy to prevent any future complications. 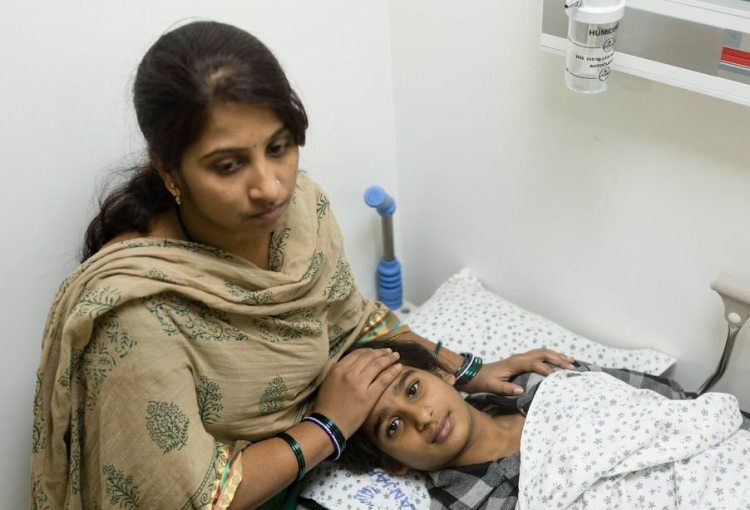 Rohini takes her from their home in Bidar, Karnataka to Hyderabad, Andhra Pradesh for treatment every month. The endoscopy and medications make her weak, but they are the only thing keeping her going for now. Rohini got divorced two years ago. Even before that, she single-handedly took care of her two children, Aishwarya and Aditya (10). Things haven’t been smooth sailing for Rohini, but Aishwarya has been her rock through it all. It has been difficult for Rohini and her children, but they were getting by with whatever little they had. They were happy in their own small world, but Aishwarya’s disease has destroyed everything. Rohini works as a teacher in a small school in Bidar. She hardly earns Rs. 3000 per month. She sold the little jewellery that she had and borrowed from relatives to pay for Aishwarya’s treatment. 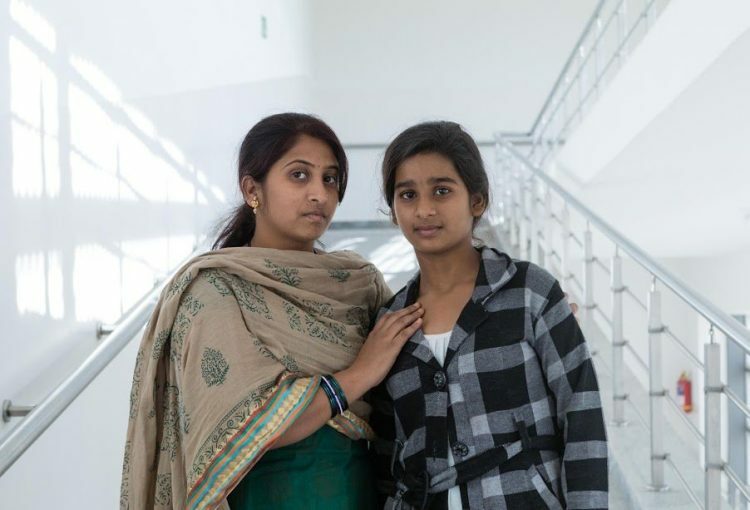 She has spent nearly 3 lakhs on her tests and medications so far, but Aishwarya’s liver transplant will cost 16 lakhs, an amount above and beyond Rohini’s reach. Aishwarya can survive her liver disease with a liver transplant. 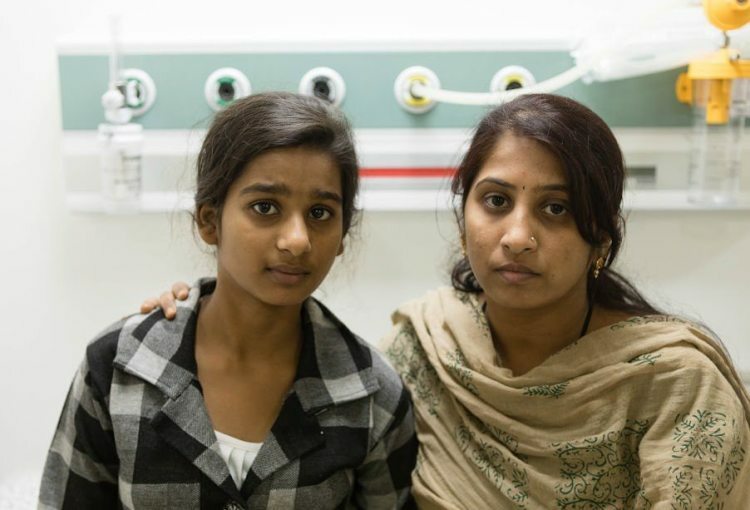 Her mother, Rohini, is the donor, but she doesn’t have the means to pay for her treatment on a teacher’s income. Rohini has done all she can to try and save her daughter. Aishwarya’s willpower has brought her so far but now she needs your help to make it through this ordeal. 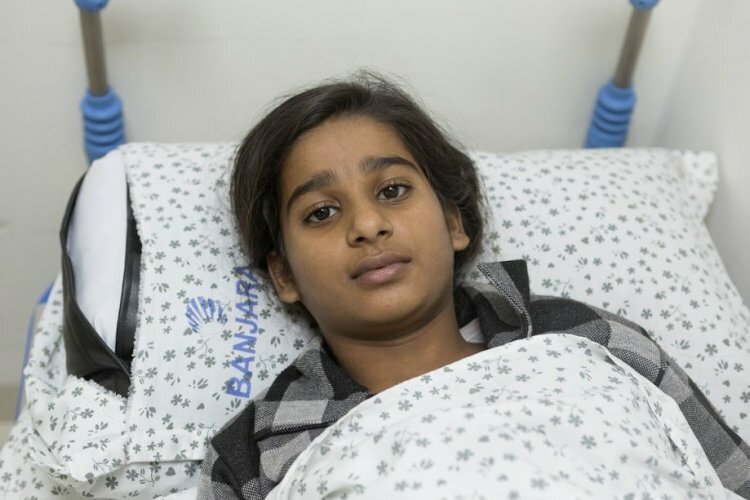 Your support can save Aishwarya’s life. 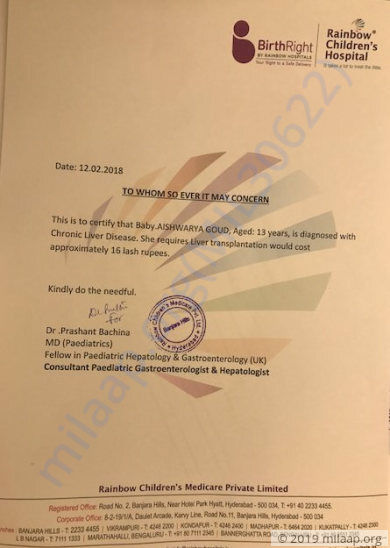 Aishwarya came in recently for some tests and check ups and her condition is stable at the moment, hence Doctors have recommended to post pone the transplant further. Sometime before her transplant date donor tests will be re taken to decide who the donor will be. We will keep you posted on her status. Thank you once again for your support. Aishwarya's chemotherapy is still going on. We're still looking for a suitable donor because the family members were not a match. 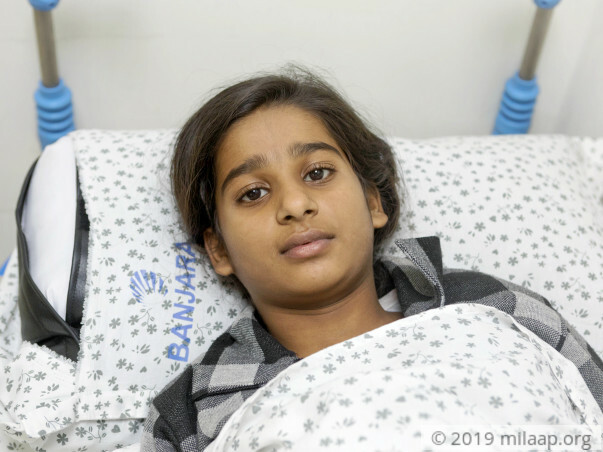 Doctors have suggested that the transplant surgery may take place in the month of June as it got delayed because we could not find a matching donor. As of now, she has been undergoing chemotherapy and there were few side effects such as vomiting and weight loss but she's responding well. We shall keep you all posted on her health. Thank you so much for the love you have shown towards us. Aishwarya was not undergoing chemotherapy. During the month of May, she was on regular medication as prescribed by the doctors. Her condition was stabilised with medicines and she was not fit for the transplant. Hence, the transplant was postponed. Thank you for the support that you have shown towards Aishwarya. She is doing better now comparatively. She is on medication and her mother has undergone some tests to ascertain whether she can donate a part of her liver to Aishwarya. Once the reports are in the doctors will be able to suggest the future course of action. Aishwarya you will be fine soon.